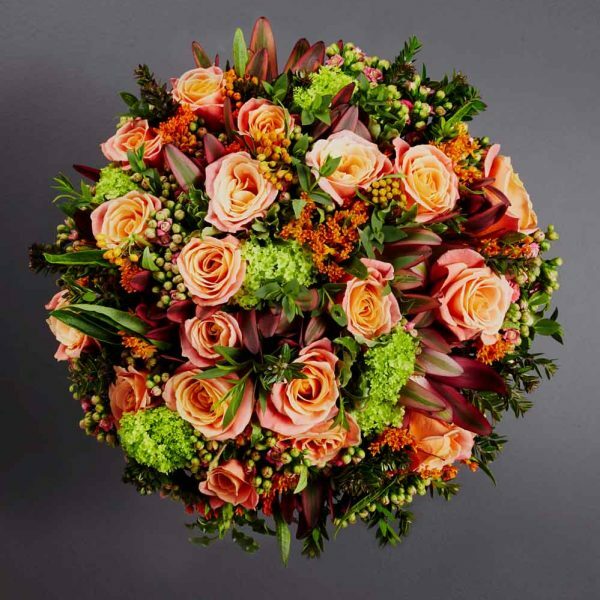 Inspired by the London skyline at night and the colourful hues which can be seen glowing in the dark, an abundant and luxurious hand tied bouquet is crafted in true Larry Walshe style featuring roses, leucadendron, guelder roses and asclepias alongside a textural combination of seasonal foliages. 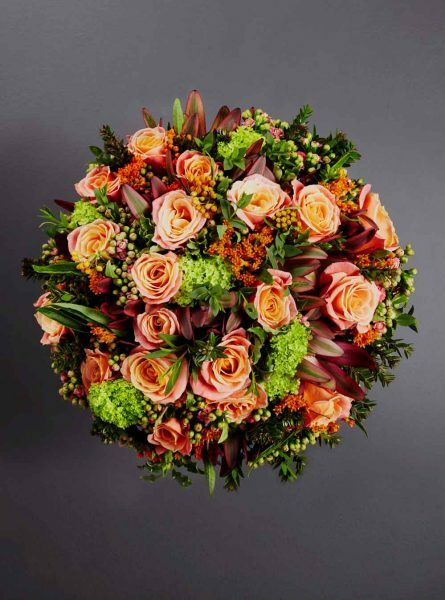 A minimum of 65 flower stems in the deluxe and 45 flower stems in the large will feature in this luxury online bouquet. Image shows deluxe sized bouquet.